We are pleased to inform you about the launch of our exclusive WhatsApp news service QCAM FX NOW! and invite you to join this exclusive group. Add mobile number QCAM FX NOW! After registration the mobile number of QCAM FX NOW! will be shown. Please add this number to your mobile phone. All QCAM FX NOW! messages will come from our company, written by our FX experts – who are working at the pulse of the market – and directly sent to the recipients. Please note, that in no circumstances do these messages constitute investment recommendations. Why should you join QCAM FX NOW! on WhatsApp? Knowledge is power. 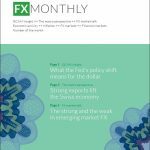 With this innovative service we want to emphasize our position as a leading provider in the FX market. Given the high dynamics of the markets cutting-edge information, exact-to-the-minute news and exclusive assessments by experts can be of prime importance for investment decisions. For practical implementation in your everyday working environment set up WhatsApp on your computer in 3 steps . The topical info service QCAM FX NOW! 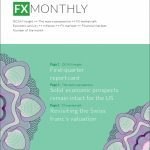 complements our successfully established bulletin FX Monthly which provides QCAM clients month after month with insights and analyses of currency markets. Your privacy is important to us. 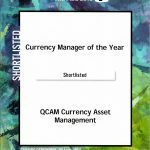 As participant of QCAM FX NOW! you will remain anonymous and not recognisable to others. All your personal information will be handled with maximum confidentiality. If you no longer wish to receive our QCAM FX NOW! news, please send message “FX STOP” via WhatsApp.